Expedia can help you save heaps with a Banjarmasin vacation package. With all that extra cash in the bank, you might even like to book a few additional nights. Would you like to earn savings up to C$590*? Purchase a travel package on Expedia now! Look through our universal database of more than 400 partner airlines and 321,000 worldwide properties. Too many on there to choose from? Don't worry — we can help you decide! Can't wait for your trip to Banjarmasin? Need some suggestions about what to do and see while you're there? That's what we're here for! Are you eager to know more about some of the local religious traditions? Attend prayer with faithful worshipers at Masjid Raya Sabilal Muhtadin and gain a glimpse into Islamic life. There's a wonderful range of things to keep you busy in this destination. Quietly watch the live prayers, connect with community members and admire the unique architecture of Masjid Sultan Suriansyah. If you're curious to know more, why not ask a few questions about local religious customs? Still got some time to spare? Whether you're searching for some groceries, a new wardrobe or a vacation keepsake, you can buy it at Duta Mall. With a great range of stores close at hand, get ready to shop 'til you drop! If you're seeking cheap vacations or luxury getaways in Banjarmasin, don't forget to book your accommodations before you go. There are only 9 Expedia properties currently on offer. 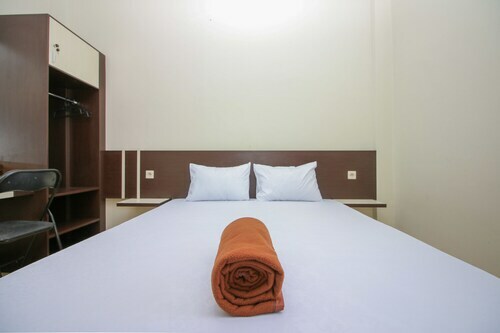 Take a look at the Golden Tulip Galaxy Hotel (Jl.Ahmad Yani KM.2,5 No. 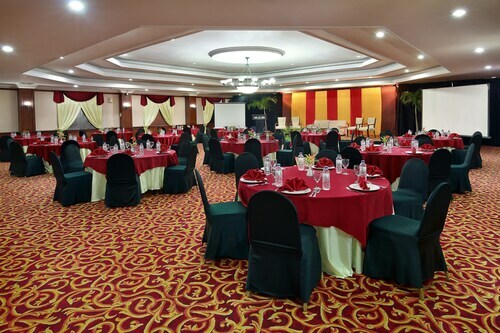 138) and the Swiss-Belhotel Borneo Banjarmasin (Jl. Pangeran Antasari No. 86 A). These popular accommodations don't only come with comfy beds — they come with terrific reviews as well! There's nothing like finally disembarking at Juanda Airport (SUB) after a long flight. After you've collected your suitcases and stretched out your limbs, you'll be around 310 miles (499 km) from Banjarmasin's downtown area. 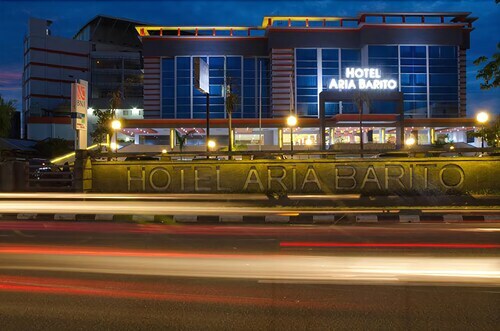 Located in the heart of Banjarmasin, this hotel is within 1 mi (2 km) of Duta Mall and Masjid Raya Sabilal Muhtadin. Masjid Sultan Suriansyah is 3.5 mi (5.7 km) away. 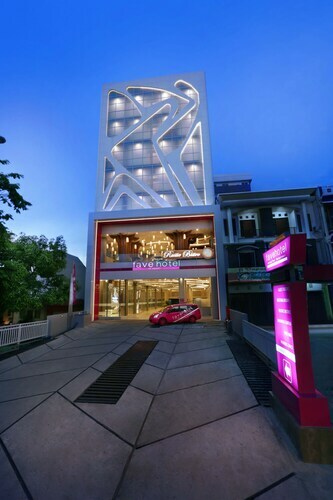 Located in the heart of Banjarmasin, this hotel is within a 15-minute walk of Masjid Raya Sabilal Muhtadin and Duta Mall. Masjid Sultan Suriansyah is 3.1 mi (4.9 km) away. Situated in Banjarmasin, this hotel is 0.5 mi (0.9 km) from Masjid Raya Sabilal Muhtadin and within 3 mi (5 km) of Duta Mall and Masjid Sultan Suriansyah. Taman Van der Peijl Monument and Lambung Mangkurat University are also within 25 mi (40 km). Situated in Banjarmasin, this guesthouse is 2.3 mi (3.7 km) from Duta Mall and within 9 mi (15 km) of Masjid Raya Sabilal Muhtadin and Masjid Sultan Suriansyah. Taman Van der Peijl Monument and Lambung Mangkurat University are also within 25 mi (40 km). This family-friendly hotel is located in the city center, within 3 mi (5 km) of Duta Mall and Masjid Raya Sabilal Muhtadin. Masjid Sultan Suriansyah is 5.9 mi (9.5 km) away. 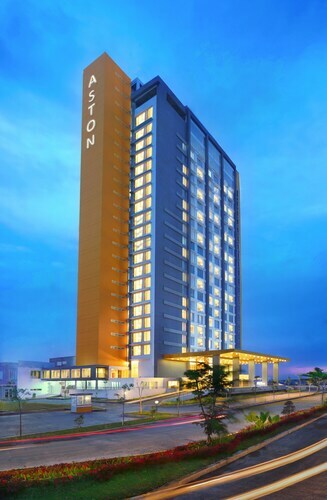 Situated in Banjarmasin, this hotel is 0.6 mi (1 km) from Masjid Raya Sabilal Muhtadin and within 3 mi (5 km) of Duta Mall and Masjid Sultan Suriansyah. Taman Van der Peijl Monument and Lambung Mangkurat University are also within 25 mi (40 km). 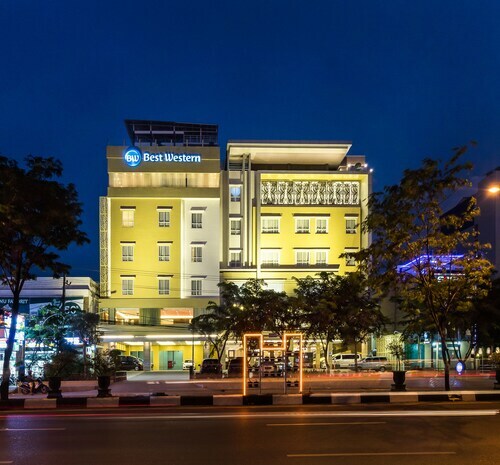 Situated in Banjarmasin, this hotel is within a 15-minute walk of Duta Mall and Masjid Raya Sabilal Muhtadin. Masjid Sultan Suriansyah is 3.9 mi (6.2 km) away. Situated in Banjarmasin, this hotel is within 9 mi (15 km) of Duta Mall, Masjid Raya Sabilal Muhtadin, and Masjid Sultan Suriansyah. Taman Van der Peijl Monument and Lambung Mangkurat University are also within 20 mi (32 km). Fri., 12 Jul. - Fri., 26 Jul.